You’ll learn to determine which clients are likely to benefit most from interventions such as: pain physiology education, cognitive behavioural therapy, stability exercises, manual therapy, and neural mobilization. Our clinical reasoning model will cover many other concepts and techniques. We have developed clinical prediction rules for each sub-classification which are user friendly to follow. In physiotherapy to date there are accepted means of assessing movement patterns, tissue structure and pain mechanisms. 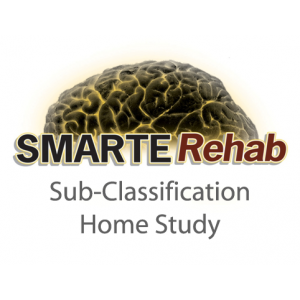 SMARTERehab has developed two more important diagnostic sub-classifications to complete the picture: Psychosocial Factors and CNS Coordination. As well, we consider individual factors (e.g. co-morbidities, individual outcome indicators). How well do you really understand psychosocial factors? The mechanisms are poorly understood, the questionnaires can be time consuming and often only deal with work related issues. We have developed a Psychosocial Factor Screening Questionnaire to screen for problems in all aspects of people’s lives. We’ll also explain the physiology of how PSF can lead to the development of musculoskeletal problems and a poor outcome. Our Psychosocial Factor Action Plan program provides guidelines on how to address these and when other health care professionals should be involved in client care. Overcome clinical frustration: This sub-classification identifies people who have a combination of cognitive learning problems and sensory motor deficits. This is an important sub-classification to make since these clients do not do well with specific muscle recruitment exercises and have problems learning what we teach them. They are more likely to experience anxiety, fear of movement and catastrophization. They also have retained primitive reflexes, which significantly influence their coordination. We can show you how to identify these people and give alternative treatment options. These could be your most frustrating clients, and we can teach you how to help them. Primitive Reflexes: This is where neurological physiotherapy and orthopaedic physiotherapy meet again. The neurodevelopmental sequence helps shape how we move and can influence how we learn and behave. Many children and adults do not have mature primitive reflexes. Evidence shows that a reflex inhibition program can improve cognitive function and motor control. We will show you how to assess for, and rehabilitate primitive reflexes in adults in neuromuscular rehabilitation. Motor Control Abilities Questionnaire: What about the people who seem unable to learn specific exercises? We have developed a screening questionnaire to quickly identify the people who are unlikely to do well with specific stability exercises. We’ll give you alternative treatment options. The Motor Control Abilities Questionnaire also predicts outcome and can be used with psychological questionnaires. Functional Exercise made easy: Everyone agrees that functional exercise is essential in rehab. Unfortunately it is often not done well for a variety of reasons. The Functional Performance Evaluation © provides an easy to use clinical problem solving strategy to allow you to identify the client’s functional requirements and design a program specific to match their needs. Exercise Categorization: There are many types of therapeutic exercise besides core stability and movement coordination exercises. 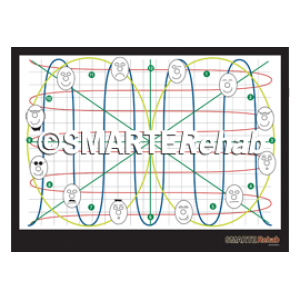 We have sub-grouped all the exercises types and we’ll give you clinical prediction rules on which exercises to use for each sub-classification with appropriate starting points and progression strategies. Motor Learning Problem Solving: It’s common for people to experience problems learning exercises. Problem solving to achieve motor learning for exercise with some clients can be difficult. We have developed a Universal Problem Solving Model of Motor Learning to help you make any exercise easier or harder. We have to give people exercises they can do, not ones they can’t. “Can’t” will become a four letter word! Neurodevelopmental Learning Constructs: Learning exercise requires much more than visual, auditory and kinaesthetic feedback. The learning process has been sub-classified by special educators. Understanding how people learn is critical to rehabilitation. The identification of learning limitations will allow you to more effectively address the client’s problems. Core Stability Explained: Is there actually Evidence to support the use of Core Stability Exercises? There are many interpretations of core stability. Some people do better with strengthening and some do better with gentle and specific exercises. We will explain all the interpretations and show you how it all fits into rehabilitation. We’ll go through the latest reviews of RCT’s and summarize them. It may surprise you.